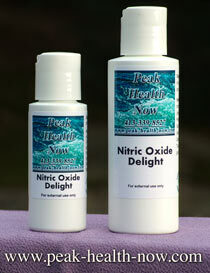 Detox From Pthalates to be Healthy and Slim! Pthalates are stealth toxins that are EVERYWHERE! Plastic items are a major source (how do we avoid all plastics)? Not only can they make us fat, they are cancer-causing, too. We can't completely avoid them, so we need to know this health-destroying enemy and how to get it out of our bodies. Pthalates damage our endocrine (glandular and hormonal) system. They also destroy mitochondria, liposomes and peroxysomes in our cells. Mitochondria are energy-generating organelles in the cells; when they are damaged, chronic fatigue and other problems can result. I will discuss peroxysomes further below; peroxysomes are cell components that BURN FAT and detoxify poisons. What Are Pthalates and Where Are They Found? Pthalates are found in ALL plastics, used as softeners to make them more flexible. Water bottles are some of the worst offenders. The more pure the water, the more of this deadly toxin leaches from the plastic bottle into the water. Distilled water is the worst; because it is so chemically pure, it is like a vacuum. Many health-conscious people buy bottled water as a way to avoid the toxins in tap water. The sad irony is that plastic containers are so toxic that you are better off drinking unfiltered city tap water than bottled 'spring water' from a health store! Food storage: Tupperware and other plastic food storage containers, plastic food wrap, ziploc and sandwich bags, deli food containers, soda, milk and juice containers, styrofoam cups. Teething toys and nursing bottles for babies! Pthalates are not stable compounds; they do not remain safely within the products that contain them. They are not chemically bound to the materials such as plastics, paints or clothing. They leak into our water, juice, milk and foods. Pthalates also outgas from furniture, paints, adhesives, etc. and we breathe them into our lungs where they go directly into our bloodstream. They are absorbed from our clothing into our skin. One way I minimize exposure to phthalates is to use glass to store foods and liquids in the refrigerator. Also, I store most of my nuts and seeds in glass bottles. Another thing you can do; when you buy cheeses or meats, re-wrap them in waxed paper or paper freezer wrap. If you can find an old-fashioned thermos with a glass lining, you can use that instead of plastic bottles for hot and cold liquids that you take with you to work or play. I like the easy-to-hold glass bottles from iced tea drinks - got some from a friend. The only thing is, to prevent leakage around the cap, you would want to use a small piece of plastic wrap screwed under the cap. But with the bottle upright, the liquid is not touching the plastic. Buy wooden salad utensils rather than plastic ones. Don't re-use plastic eating utensils that come with take-out food. How Pthalates Make Us Fat! They destroy peroxysomes in our cells. Peroxysomes have two jobs. One is to help detoxify our bodies from poisons. Sadly, peroxysomes CAN'T handle pthalates. The other job of the peroxysomes is to BURN FAT! If too many of them are destroyed, we accumulate belly fat and gain weight. 1 - Detox our bodies from pthalates. 2 - Boost our fat burning capacity by stimulating our bodies to make more peroxysomes! How to Detox Pthalates OUT of Your Body! Pthalates are the main toxin in our bodies. They are more dangerous than most pesticides and more prevalent, too. We MUST actively remove them. Saunas once a month good idea. But saunas only detoxify outer layers of skin and fat. However, we DO have a detoxification pathway in our bodies that can do a GREAT job of getting pthalates out of our organs and deeper tissues. That pathway is the glutathione s-transferase enzyme system. 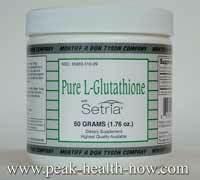 Glutathione is the body's main detoxifier - one of few most powerful antioxidants. To get the plastics out of our bodies, we need to activate the glutathione s-transferase detoxification system. The number one way to increase the activity of glutathione is the renowned coffee enema. If you just don't have the time, (or the inclination) to do what is needed to experience the incredible benefits (and joys) of one of the most powerful liver cleanses on the planet, here is a very easy, economical, time-saving alternative to the coffee enema. It has many of the same benefits. 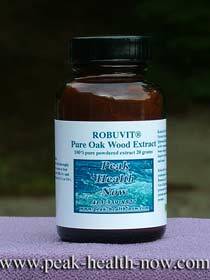 In addition, it contains glutathione in a highly absorbable form. 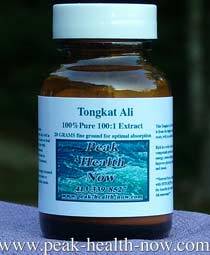 As well, it contains Magnesium Di-Potassium EDTA to increase circulatory capacity.